Ever wondered why Fair & Lovely exists? 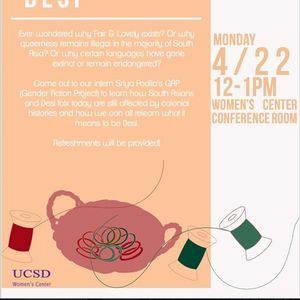 Or why queerness remains illegal in the majority of South Asia? Or why certain languages have gone extinct or remain endangered? 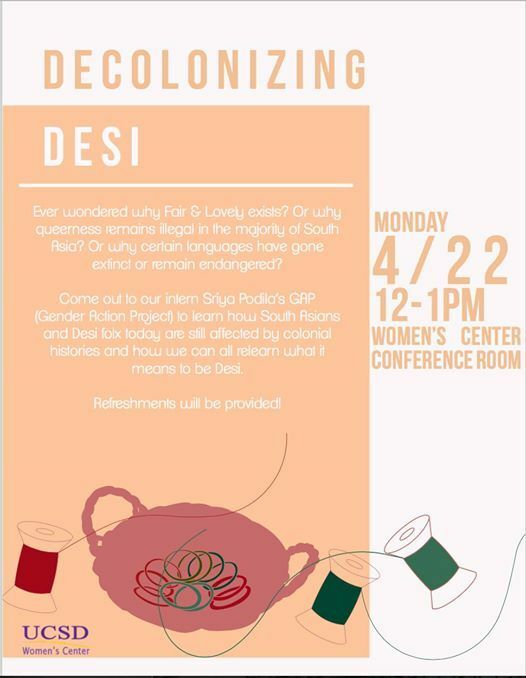 Come out to our intern, Sriya Podila's GAP (Gender Action Project) and learn how South Asians and Desi folx today are still affected by colonial histories and how we can all relearn what it means to be Desi.